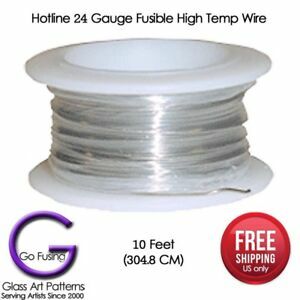 High Temp Temperature Hi Fire Stamen Wire for Glass fusing 24 ga.
Great product, fast shipping thanks! Very prompt shipping, great transaction! Super fast shipping, just what I needed Thanks!!!! Love it. Thank you. Fast shipping.